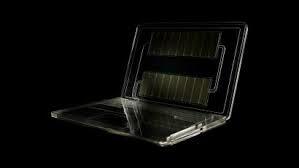 Home » Fuel cell for your laptop: Next year? Refuel rather than recharge? That is the question! “Recent efforts to miniaturize our proprietary Zinc Air Fuel Cell (ZAFC) technology – particularly over the past six months – have met with much greater success than anticipated,” said Remy Kozak, president and CEO of Power Air. Power Air is on track towards its goal to become the first commercially viable fuel cell producer. The company has exclusive license to the ZAFC technology, developed at the Lawrence Livermore National Laboratory. The fuel cells are designed to be better performers than the current batteries for emergency or backup power for small electronic devices such as iPods, cell phones and laptops. Plans are for the release of laptop computer fuel cells six months after the first mobile product is marketed. Fuel cells for portable electronic applications have been a technological challenge, so if these plans work out, Power Air could revolutionize how we power our electronics. I look forward to not recharging my laptop every 2 hours! Power Air stock is traded on the OTC BB, symbol PWAC. This is a company I am going to keep an eye on.